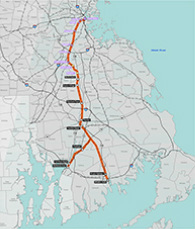 The group is an alliance of major business and community organizations in Massachusetts that recognize the importance and economic impact of re-establishing the commuter rail connection to Southeastern Massachusetts and agree to work together to advocate for the implementation of the rail link. Who are the current members and supporters of the coalition? A partial list of the members and supporters includes: the New Bedford Area Chamber of Commerce; Southeastern Massachusetts Association of Realtors; Taunton Area Chamber of Commerce; Southeastern Massachusetts Visitors Bureau; Greater New Bedford Industrial Foundation; New Bedford CEO Council; Fall River CEO Council; SouthCoast Development Partnership; Massachusetts Association of Realtors; Greater Fall River Association of Realtors; North Bristol County Association of Realtors; New Bedford Economic Development Council; Taunton Development Corporation; RE/MAX Right Choice; Cape Cod Chamber of Commerce; SRPEDD; and Transportation for Massachusetts (T4MA). What is the primary role of the coalition? The coalition was formed to present a collective and effective advocacy effort among the business community to push for the re-establishment of commuter rail service to Southeastern Massachusetts. Will the coalition advocate for any new taxes? No. 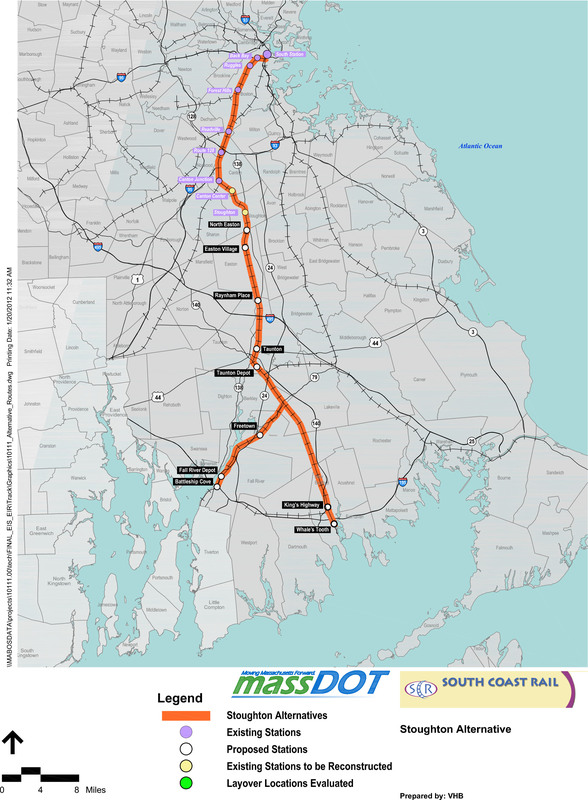 The coalition was formed to advocate for re-establishing the commuter rail connection to Southeastern Massachusetts using existing funding mechanisms for transportation projects. It does not endorse any new taxes or funding mechanisms. The coalition also believes that opinions or views on tax policy or any other issues should be left to the individual member organizations of the coalition. Is there a cost to join the coalition? Each member of the coalition agrees to commit a minimum of $1,000 each year for the next five years towards the coalition’s efforts. The collective funds will be used towards funding an advocacy and communications campaign that promotes re-establishing the commuter rail link to Southeastern Massachusetts. In addition to the funds, the members agree to add their organization’s name to the coalition’s public roster of support and to assist with any grassroots advocacy or public relations efforts that may be necessary. with the state’s Capital Improvement Plan in which rail is included. What will the collective funds be used for? The funds contributed from the members of the coalition will be pooled and used to fund a collective advocacy and communications campaign that supports rail to Boston. Examples of what the funds would specifically be used for include: lobbying consultants; public relations services; advertisements; economic research; opinion polling and attorney fees. Can I be supportive and contribute more to the coalition if my organization chooses? Members of the coalition can contribute more towards the campaign if they choose. Any voluntary contributions of any amount are welcome.